Irish games giant Keywords Studio will move into the composition of music for video games after it acquired two established firms working in the segment. The Dublin-based company, which is valued at around €1 billion on the London Stock Exchange, has acquired Cord Worldwide and Laced Music for a total consideration of €5.2 million. Cord has mainly worked with large businesses including Shell, Lego and BT and consulted on music branding for these organisations. Laced is a music services firm and record label that has composed music for the Halo franchise and specialises in the video games industry. Both firms, which were part of the larger Cutting Edge Group, generated combined revenue of €7.46 million and pre-tax profits of €775,000 during the year that ended 30 June 2017. Keywords Studios noted that the new firms will continue to work with Cutting Edge and give their new parent company greater access to an extensive catalogue of media music rights for use in video game production. Keywords Studios chief executive Andrew Day said the company’s audio division has so far focused entirely on voice-over production for video games. He added that these acquisitions will help the firm expand its services into the area of composed and licensed music for use in games. In addition to these acquisitions, Keywords also bought Brazilian-based games voice-over firm Maximal Studio for €300,000. The acquisition will add to Keywords’ footprint in the South American market, where it already has a localisation business that adapts games for foreign markets. Keywords has been hot on the acquisition trail for several years, adding dozens of companies to its wider group over the last 18 months. The firm originally just focused on the localisation of video games but can now develop games from start to finish. 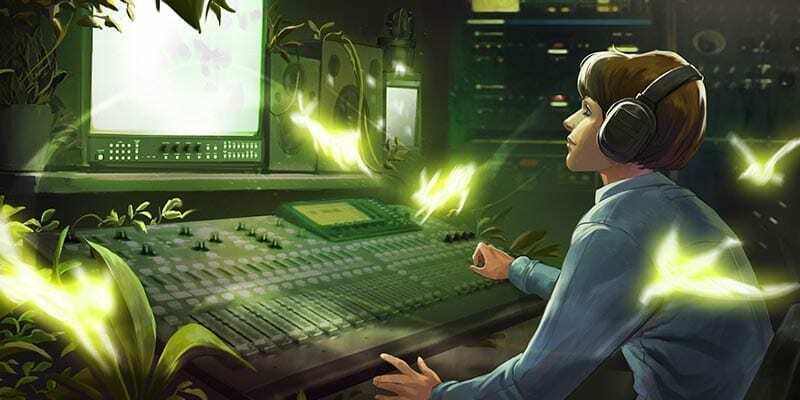 It also still co-develops games with large firms, such as EA and Sega, and creates video game art, records voices for characters and provides customer support. Last year, Keywords Studios boss Day told Fora there was “no end in sight” to the firm’s plan to grow the group through numerous acquisitions. The announcement of the acquisitions have come as part of Keywords Studios annual results for 2017, which showed that the company’s turnover shot up last year. During 2017, revenues increased by more than €54 million to pass the €151 million mark, while pre-tax profits also rose by €12 million to €26.3 million. The Irish division of the firm was second only to Canada for revenue generation last year, raking in €34 million – €11 million less than the Canadian business. Headcount internationally at the firm shot up, with the total number of people working at the company more than doubling to 3,167. Around 120 off the workers were based in Dublin as of last year. Reflecting on recent market trends in the games industry, Keywords’ report noted that the success of the Nintendo Switch console last year benefitted the Irish firm since it provides services for numerous games made for the platform. Commenting briefly on the performance for 2018 so far, Keywords said it had some “early wins” in co-development projects. This article was originally published on Fora.ie.